Be scared, mortal, for it approaches! The Night is young, the Spirits are restless. The Wind dances, the Trees echo. Creatures of the Night: awaken!! you can only gasp in Terror. as the Sky slowly turns Crimson. Blood red and hungry, it will devour your Soul. The End is upon you, mortal! 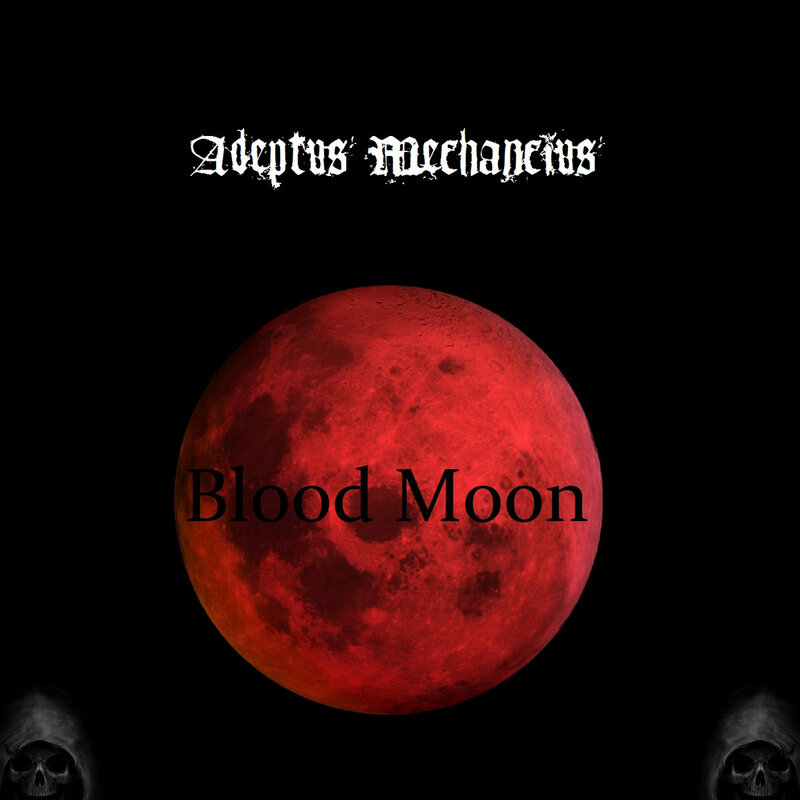 Studio welcomes a new dark ambient collection from Adeptus Mechanicus. Just in time for the rela life event, we have Blood Moon. Apocalyptic and nicely cinematic in tone, this album is five very dark pieces. Well composed, immersive and varied enough to keep the flow. inundated with all the right sounds; scary, actually, as it was intended. An excellent new album from Adeptus Mechanicus. Enjoy Blood Moon. All compositions and music by Adeptus Mechanicus.